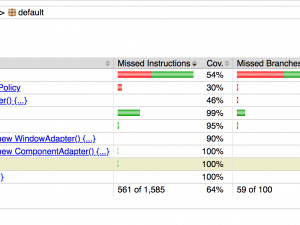 There may be occasions when you want to keep your application running across multiple tests. 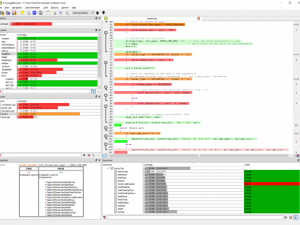 For these cases, Squish provides the « startaut » tool. While its name has the word ‘start’ in it, this tool is very powerful, and, in the case of « startwinaut », can also be used to help Squish attach to an already running application (see the option --window-title=). 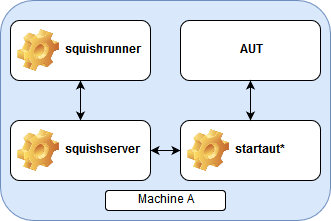 startaut needs to be used in coordination with a squishrunner and squisherver, to open a ‘hook’ IP server port for interacting with the AUT. While running all these processes on the same machine is known to work, so does running them on separate machines. The latter is a solution that helped numerous users who were not aware it was possible, so that is the focus of this article. This setup is the most commonly used when testing applications on remote machines where the squishserver can start and stop the AUT. 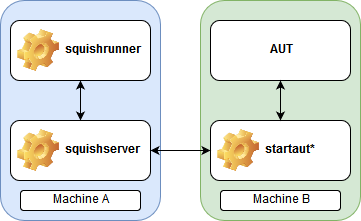 We could extend this diagram to have a squishrunner from « Machine A » connecting to a squishserver on a « Machine C », leading to the parallel execution shown in a previous blog article.